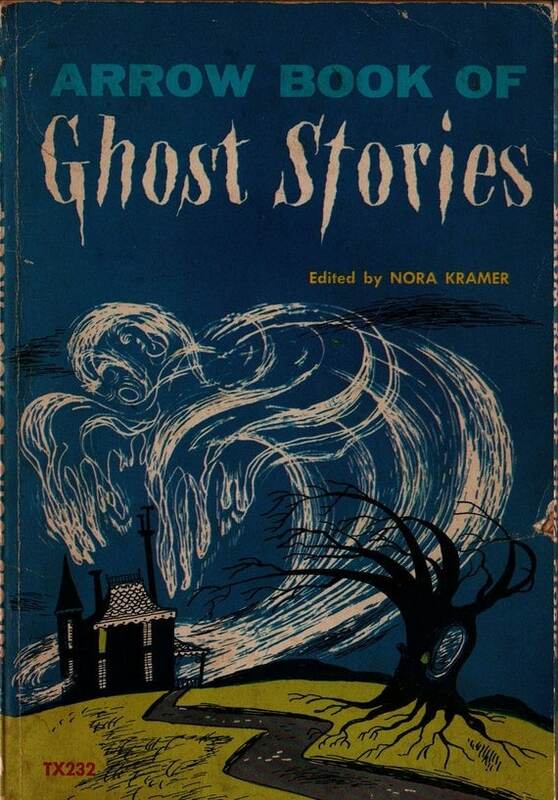 I have fond memories of this collection of fantasy stories. There are stories by Saki, Robert Arthur, H.G. Wells, Lord Dunsany, and Jack London to name a few. But what really knocked me out was my first encounters with the late great John Collier. Collier was one of the great short story authors, a master of a certain kind of fantasy and mystery. His story "Witch's Money" (not in this collection) is on my list of top fifty crime stories of all time. There are no witches in it: it's about the disaster that hits an Italian village when a comparatively wealthy American artist moves in. Running across that book a few days ago inspired me to go looking for another one I found in my Dad's collection when I was at that same impressionable age. I bought a copy over the web, and the shipping cost more than the book. I remember reading my father's copy mostly because I recall Rex Stout's parody of Sherlockian scholarship, his famous speech to the Baker Street Irregulars entitled "Watson Was A Woman." It's still funny. So are the essays by P.G. Wodehouse and Stephen Leacock. This book was my first exposure to Dashiell Hammett and his Continental Op. ("The Farewell Murder," not one of his masterpieces.) In fact, while there are tales by Gardner, Sayers, and Woolrich, the only one I remembered from fifty years ago was "The Price of the Head,"by John Russell, which I recalled as being brilliant. However, I experienced one of the downsides of revisitng a favorite old book: On rereading I discovered it was racist trash. Apparently my memory wrote a completely different story and attached it to Russell's brilliant ending. There is a ton of casual racism in this book which reminds me that it was published around the time Rex Stout produced a one-night extravaganza on Broadway just for writers, directors and producers, with the theme "We can't fight racism in Europe and appease it at home." 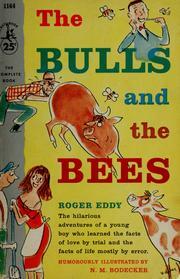 Another book I dug up because of childhood memories was The Bulls and the Bees, by Roger Eddy. It's a novel (memoir?) in a series of short stories, narrated by the astonishingly solemn voice of a child growing up in the twenties. His father is a stockbroker and the boy's hobby is buying a single share of stock from different companies. He has no idea he is "investing." He thinks he's just buying interestingly engraved paper. This leads to a crisis after the Crash in 1929. This has gone on too long. Maybe next time I will talk about childhood favorites I bought my daughter when she was a kid. But what books call to you from your childhood? And if you reread them was it a joy or a disappointment? Fun stuff, Rob. Though, as you point out, sometimes (often) things that delighted us as kids don’t hold up today for one reason or another. You can’t go home again, well sometimes you can. I remember a lot of books from my childhood and still have many of them, though mostly in boxes. I loved reading Landmark Books, kid-history books often based on adult history books. I also remember a couple books of stories with Alfred Hitchcock’s name on them. Another book I loved that was my mom’s when she was a kid was Little People Who Became Great, each chapter a biography of “great” people, like Helen Keller and Andrew Carnegie. And so many more. Terrific. Children's books and stories are the foundation of literature and I still remember something called MR. Badger's Successful Plan and Wee Gillis, books sent over by my Scottish relatives, with affection. I still find The Wind in the Willows magical; same with the Laura Ingalls Wilder books, and Lewis Carroll (especially the edition annotated by Martin Gardner). Mental comfort food at its finest! And, there is nothing better for those swashbuckling days than anything by Robert Louis Stevenson or Alexandre Dumas! Books that call to me from childhood were written and illustrated by Clayton Knight. WE WERE THERE AT THE NORMANCY INVASION, WE WERE THERE WITH THE LAFAYETTE ESCADRILLE. Kids witnessing history. Jack London's THE CALL OF THE WILD and WHITE FANG also. Re-read both of London's books this year and they are still great. WHITE FANG is an outstanding story. Love these covers--and the memories! My wife Tara and I were browsing around antique stores recently and found a Three Investigators mystery, a series we collect and that always looms large in my own memories of childhood. I lived two doors from the writer/illustrator Maud Petersham when I was a kid. She & her husband illustrated other books besides their own & all of them were beautiful. Hooray for RL Stevenson. The Author's House in Edinburgh has more photos of him than a teenager with a selfie stick. Great fun. The Three investigators were favorites of mine. I gave them a plug in a short story AHMM published last year: "Shooting at Firemen." My favorite as a kid was Honey Bunch, her first winter at Snowtop. I loved the detail about the individual snowflakes being made into one-of-a-kind pins. It was a mystery so that may be the one the hooked me. My uncle (my godfather) gave me a set of Nancy Drews that I loved. Oh, wow! I still have the used copy of the Arrow book! And I remember Cobbie Bean! Thurber's Thirteen Clocks is lovely but I prefer his Many Moons. "Every time I ask someone for the moon it gets bigger and farther away."